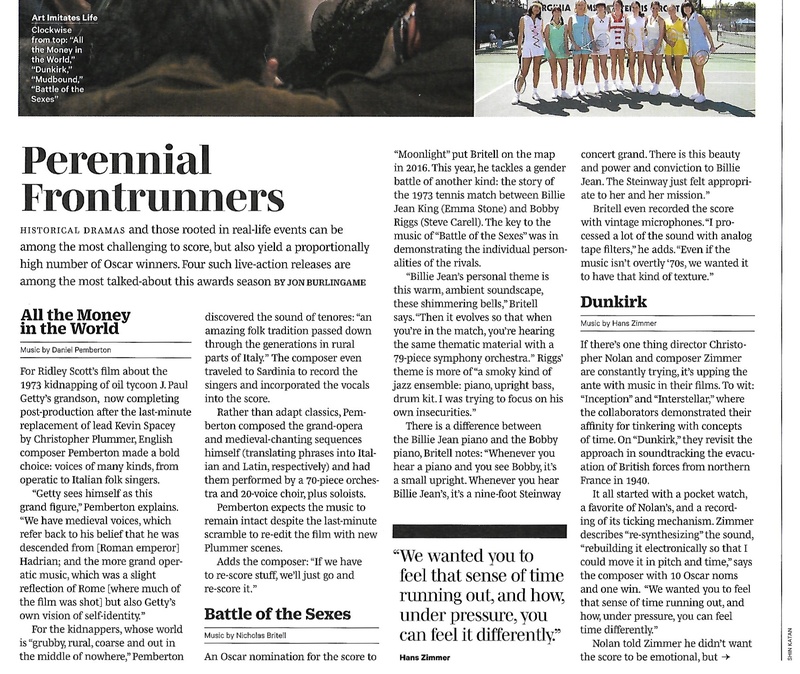 As part of Variety‘s series of examinations of awards-worthy work in this year’s film music, we looked at four films that depict either historical events (Dunkirk, Battle of the Sexes, All The Money in the World) or were rooted in historical fact (Mudbound). Hans Zimmer’s Dunkirk score would seem to have the best chance at an Oscar nomination this year, although Nicholas Britell did a great job with Battle of the Sexes and Daniel Pemberton’s faux-Italian-opera for All the Money in the World is fascinating. And don’t count out Tamar-kali’s chamber-music approach to Mudbound — at a time when diversity matters more than ever, she could easily make the final five. 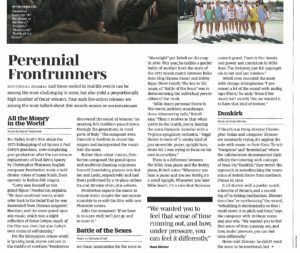 This entry was posted in Composers, Film Music, Interviews and tagged 2017 scores, All the Money in the World, Battle of the Sexes, Daniel Pemberton, Dunkirk, Hans Zimmer, Mudbound, Nicholas Britell, Oscar music, Tamar-kali, Variety on December 11, 2017 by Jon Burlingame.